Produce everything from finely ground mince to gourmet sausages with this 600W mincing machine. It comes with fine, medium and coarse mincing discs, plus thick and thin sausage nozzles. 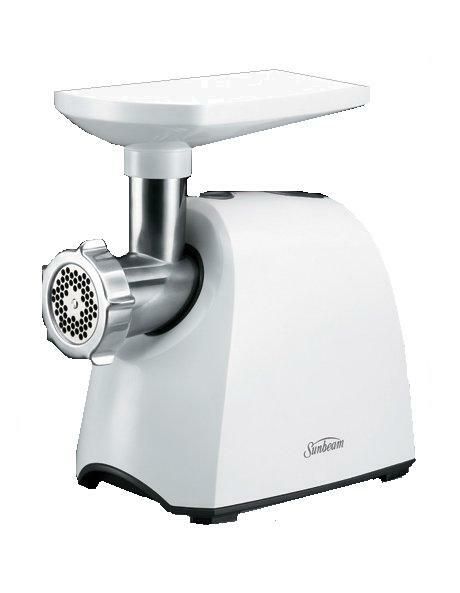 This mincer has a reverse function to clear the meat out of it, making cleaning simple. The Sunbeam Multi Mincer FG5600 also has a kebbe attachment and plenty of built-in storage space. Includes 1 year warranty.